In 2011, a group of dedicated volunteers formed the Chatham-Kent Residential Hospice Leadership Group and started meeting every 3 weeks with the purpose of establishing a residential hospice in Chatham-Kent. 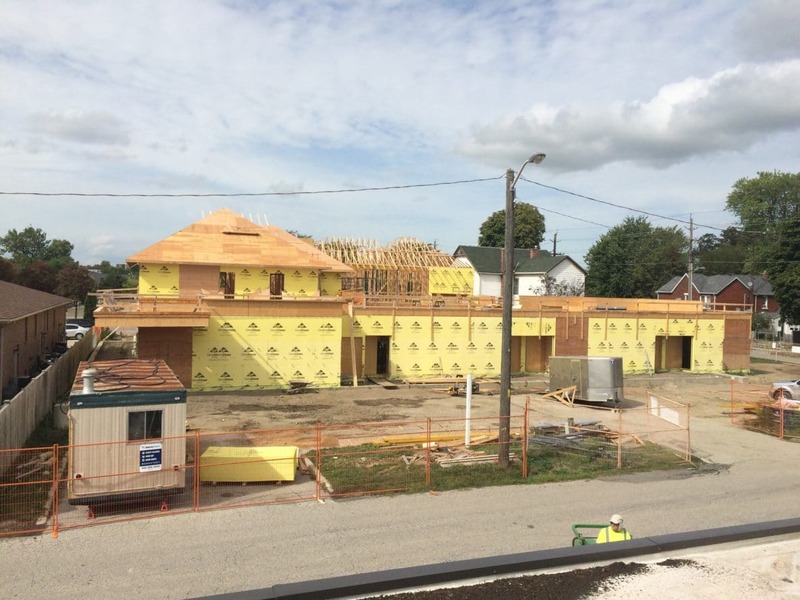 On June 25, 2013 the Erie St. Clair Local Health Integration Network confirmed operating dollars for a 10-bed residential hospice for Chatham-Kent. The decision to provide annual operating dollars was in response to a proposal developed by the volunteer community group. On July 23, 2013 the newly formed Chatham Kent Hospice Inc. Board of Directors met for the first time. It consists of 10 directors from a variety of communities all driven by a passion to establish a residential hospice. The leaders of the hospice project understood that to be successful, our community hospice needed a Chatham-Kent solution to increasing healthcare costs and constant healthcare changes. The result is a collaborate venture with St. Andrew’s Residence that provides high quality care and programming in a transparent and accountable method to the community. After a successful Capital Campaign in 2014, construction began in April 2015. Westhoek Construction Ltd was awarded the contract, working closely with ROA Studio Inc., our project’s architect. Both firms are from Chatham-Kent. The construction was completed and Chatham-Kent Hospice began operating in April 2016 – almost a year to the day of breaking ground.